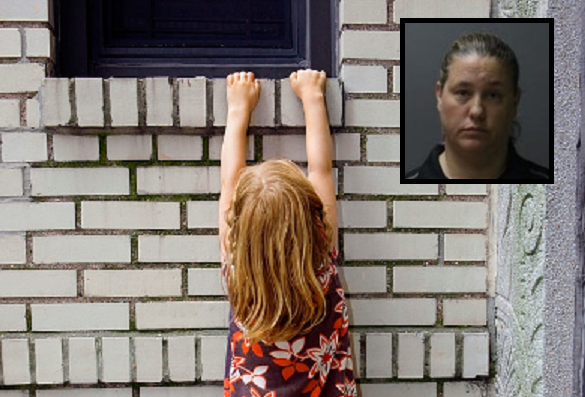 A 5-year-old girl was horrifically found hanging from a second-story window by a passerby in Sibley County, Minnesota and was rescued just in the nick of time. The child’s mother, however, will be charged with child endangerment. The 47-year-old mother of the child, April Gams, was asleep when her daughter almost fell straight to the ground if not for the lucky timing and quick intervention of the passerby. The 5-year-old girl was hanging from the window when an adult woman and her son were driving by Grams’ neighborhood. They immediately stopped their vehicle when they saw the dangling child and her son ran to the home, where he was able to catch the child before she hit the ground. Because of the report of the Good Samaritans who saved the girl from potential harm, the Sibley County Deputy Sheriff went to the residence and spoke with Grams. The officer was shown the child’s bedroom, where the door had a lock on the outside, to lock the child in. The child’s bedroom did not have a bathroom inside so the girl told the police she made do with a small Halloween pumpkin as a toilet when she was locked inside. Due to what happened, and what the Deputy Sheriff discovered with the house visit, the Sibley County authorities contacted a social worker for Sibley County Public Health and Human Services, who in the end decided that the child could remain in the home as long as her bedroom is always kept unlocked. Still, Grams has been charged with two counts of child endangerment.